Thank you - more than you know...thank you! LOVE the can of activities!! I can totally relate to the binge-eating. It sounds like you've put a great plan into place to prevent it. P.S. - You are a weight-loss rockstar. :D If you didn't plateau, you wouldn't be human. Was this blog post written by me or you???? I am in the EXACT same spot, and I commend you for taking so honestly about it because it gives me hope to move forward and comfort that I'm not alone!!! Even just as you - you are a hero/angel/inspiration exactly because of moments like these. I'm not even on a weightloss journey and I find inspiration in you. Why? Because you take the knocks of life, you maybe fall down and get bruised; but you pick yourself back up and you fight. You make a plan, you take accountability for your actions, and you start down the path to putting it behind you. My suggestion for your binge jar is to turn to those you can lean on. Vent verbally to a trusted friend and cry it out with them. Write and delete (or tear up) letters to the people who are hurting you - your mom, yourself, food. Best of luck, just never doubt that you, fallible but always ready to try again, are an inspiration. Because you are you. And know, that we're all rooting for you - in your weightloss, in your dating, in your relationship with your Mom. Why? Because you're our hero/angel/inspiration. It sounds like you've got a great plan of attack to handle future urges to binge and also to tackle some of the underlying stuff. Mother angst can cause so many eating issues - I'm sorry things are rough with yours right now. Your battle analogy is a good one - wars aren't won by winning every single battle but by winning overall. Take care. This is exactly why you ARE a weight loss superhero. We all have our ups and downs, our struggled, problems and insecurities - but you take a step back and look and analyze and make sense from these irrational things, like bingeing. And then you make a plan and try to teach yourself, and all of us in the process, how to fight it next time it happens. Ouch..Having a very so-so relationship with my mom, I can feel how that comment she posted must have hurt you. I probably would have had the same reaction as you. But you had a great idea with the jar. I hope it helps you get through the next «hurt». I love, love, love the idea of the "binge box". What a great way to keep busy instead of binging. I've been finding myself slipping into late night binges. Not good. Totally gonna try out your idea. It is weird. When I have my first thought of a binge, I know it is going to happen. I may be able to push it off for a bit, but when those first thoughts of cramming anything and everything in my face set root, there is no getting rid of the eventual outcome. Have you thought about doing volunteer work while you are unemployed? Maybe at a library, museum, animal shelter? It would bring some meaning to your days, and add to the resume at the same time. I ate all day on Father's Day... and you are right...my Dad is not in my fridge or pantry..so why did I keep looking for something in there that would make me feel better? I love the binge canister--I may have to make something like that myself! I can relate to this post a lot. Being a stay-at-home mom means my days all kind of run together and a Monday is no different than a Wednesday or a Saturday or any other day for me. Sometimes I enjoy having a daily routine, but sometimes it make me want to scream. Anyway, I think it's great that you recognized your binge triggers and have taken action to correct them in the future! Good for you for looking into therapists. I haven't had the guts to go see one even though I've needed to for a while. I hope it helps! I understand the frustrations that surround unemployment. It can be very defeating. It sounds like you are doing everything correct though and sooner or later something will come along. May not be the dream job, but I'm a firm believer in that things come along when they are meant to. If you don't get a certain job, it just means that you weren't supposed to get it. Great post! I am seriously stuck in this myself on a more long-term basis. I do well then I binge. This is why I stay the same weight. I never quite self-sabotage to the point of gaining more than a pound or two, but when I'm hurting cheesies and a gingerale seem like a good idea. As gross as smoking I sometimes think it would be easier to stick a cigarette in my mouth instead. If I had benefits I would certainly be in therapy. Lord knows I've got stuff to sort through... so take full advantage of it!!! It is okay to have days like this but the question is what do you do about it. Your action plan is great and a little binge is allowable because we are human. You did not overdo it and you came up with a PLAN. I will repeat what many might have said to you before, YOU are my SUPERSTAR. I look forward to reading your blog daily, you write well and is purely inspirational. You have motivated me to start running, I am on week 6 Day 3 of c25k. I use your blog to show others that it is possible. I am in academia and I know the job market is poor, but keep on keeping on. YOU are my ROCK and hopefully I can be as supportive to you as you have been to me. Have a great Day. I know what it is to feel alone in a weak vulnerable moment, but it eventually makes us stronger. That can idea is a great idea! I might have to steal that one for myself. When I am bored thats when I tend to snack way too much! I really like the binge jar. I may need one like that for boredom eating. Pick something out of the jar instead of the pantry or fridge. I know you will let us know how it is working for you! I like the ideas canister. Afterwards, I wonder if you could give yourself a set time limit to face things head on. If that might work for you. To give yourself - say - 3 minutes to consider one aspect of something troubling you. 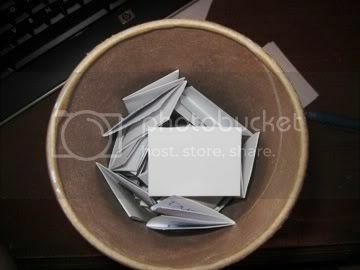 ex: What is the worst possible outcome of my mom not answering my note? Can I control what she does or thinks and if I cannot what does that mean to me? I have struggles with my own mom and it took me YEARS to face it, set my boundaries, get some self respect (those last two go hand in hand), treat myself like an adult and deal with my mom in a way that allowed happiness and tamped down drama. I refused to deal with it. Then I would have these unexpected feelings of emotion and could not control myself or think logically. If I set aside time when I was not feeling emotionally raw and set a timer and let the worst thought pass thru, think about it and then let it go when the timer went off and then went and did something else, it sort of helped. I got stronger. I was able to actually work through it in longer spurts. This may not be for you. Just putting it out there and DO not care if you go for it. Obviously I struggle with stuffing my face to stuff down emotions too. It is those surprise emotional attacks that are so disastrous. Oh I don't know. I just thought I would throw that out there -if it sticks it sticks. Going to see the psychologist is a smart move. They have lots of tricks up their sleeves. Be well. You are a strong strong girl who will get through this rough patch. If you listen to anything, listen to that. About two months ago, I had a day where I was angry the whole time, an undirected anger that was caused by a book I was reading. With no direction to place my anger, I took it out on myself, with food. I wrote up a blog post the next day about how it was exactly like cutting - so I know exactly where you're coming from here. I hope this new idea works for you. Oh sweetheart, you have done so well so far, please don't forget that. When it comes down to it, it's taken years of conditioning to learn to emotionally eat. Others have taught us, we have followed and indulged, but we can't un learn something so complicated and deep rooted overnight. If you fall down you get back up again, as long as you get up more than you fall down then you're done. You are still moving forwards. I love your strategy, it's awesome. As for parents, they are complicated beasts as well. My mother and I have no relationship now at all. I spent my entire life practically begging her to love me through various means but I finally snapped when she failed to acknowledge my sons birthday, my birthday and Christmas within a 4 month period. I cut contact completely. I came to realise she's just another person, just because she is biologically linked to me, I'm not her and she's not me, she's a flawed human being and that's ok but she only brought heartache to my life and I didn't need it. You'll come to a decision one day about whether to mend or move on, but remember that that relationship doesn't define you or her. 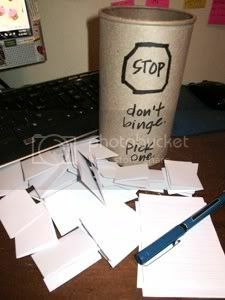 I'm going to steal the binge jar idea. It is the best idea I've seen to combat a binge ever. That jar is a phenomenal idea! Nothing is better than using the disappointment of a binge to arm yourself against future slip ups! Mary you may feel defeated but you ARE right, you are winning the war! And even though it may take you as long (or longer) to figure out the emotional struggles of weight loss, I think we all know you will! Mary, I swear...sometimes our minds meet in secret and compose these posts without consulting us first. I am not really even able to put into words what I'm feeling after reading this for the first time today (July1) even though you wrote it several days ago. It's so funny how I try my hardest to convey my feelings into words without looking foolish or weird to anyone who's reading. 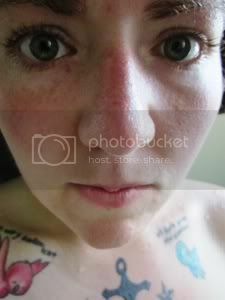 I thought, 'how am I going to post that I WANT to feel uncomfortably full? That I need this feeling to detract from something that hurts much worse' And here you go, describing it beautifully. Exactly as I am feeling it. Not only are we very similar, but it seems as though right now our lives are as well. I am between jobs as well (I have one part time job but the hours are getting fewer these days) and I feel like I am just drifting. I spend most of my days alone and believe me, it takes a lot of strength to refrain from filling that empty space with food. Thinking of you so much right now. Thank you for this post. Wow, that's a really good idea you had to make slips of paper with things to do instead of binging. I seriously might try that. I hate how defeated I feel after a binge, nothing good ever comes out of it. HOW the hell did I miss this?!?!!??!?! ?